Prostate cancer is a clinically variable disease – some patients do well, while others do very poorly – and recent studies have shown clear molecular subtypes of prostate cancer that may explain this variability. Some subtypes of prostate cancer have underlying defects in repairing their DNA, making them potentially sensitive to therapies that exploit this deficiency. 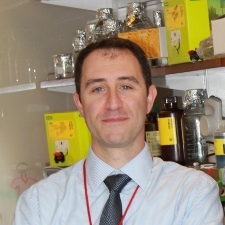 Dr. Barbieri [MetLife Foundation Clinical Investigator] is a surgeon scientist whose overall goal is to translate our understanding of the molecular basis of prostate cancer into near term benefits for patients. He will investigate the response to novel therapies for prostate cancer in patients undergoing surgical therapy for early stage disease, and define the genomic alterations that predict which cancers will be sensitive to these agents. Defining the response and the predictors of new agents in early, untreated prostate cancer will change the paradigm of how we treat men with the disease, allowing a precision medicine approach. 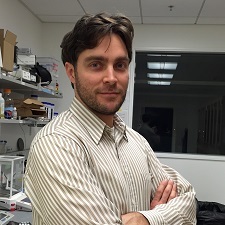 Project title: "Presurgical trials to target distinct subclasses of localized prostate cancer"
Dr. Romero is a biomedical engineer whose expertise is in the area of microfluidics. He proposes to develop new technology that can be used to detect circulating tumor cells (CTCs) in the bloodstream. CTCs are cells that have detached from a solid primary tumor and entered into the bloodstream; they can go on to colonize distant sites and form metastases. Detecting CTCs is an enormous challenge, as the cells are present at an ultra-low abundance (1 out of billions of blood cells). His approach is to develop a highly specific system, a “DNA-based logic circuit,” to detect and profile CTCs, which could ultimately be applied for cancer diagnosis, prognosis indication, and measurement of a patient’s response to treatment. Project title: "Digital circulating tumor cell detection using scalable molecular logic"